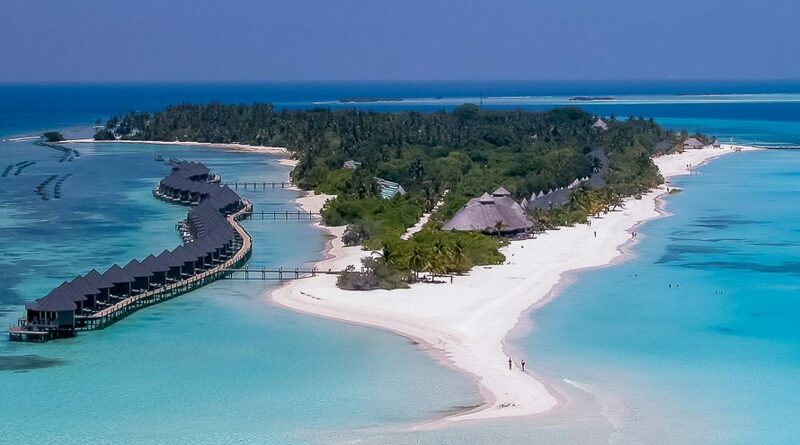 This high-end island resort with thatched-roof villas is a 35-minute seaplane journey from Ibrahim Nasir International Airport. Upscale bungalows and villas with furnished verandas or terraces offer minibars and Nespresso machines, plus free Wi-Fi and flat-screen TVs; some have 4-poster beds. Villas, some overwater, add wine fridges and direct beach or sea access. Some have private pools and whirlpool tubs. Breakfast and dinner are included. There are 7 restaurants and 7 bars, plus a wine cellar, an ice cream parlor and a tea house. Other amenities include a golf course, an outdoor pool, a gym and a spa. Water sports are available.